On the Friday of the last week of Easter, I headed for Stansted and a fairly quiet flight to Geneva Airport. I was picked up by Richard Allaway and Ellena Mart, check them out on Twitter, and taken to my hotel. I read a few final articles surrounding the issue of Cape Town's water struggles. This article was useful as well, by providing a critical view of some of the claims that were being made by the City Council. 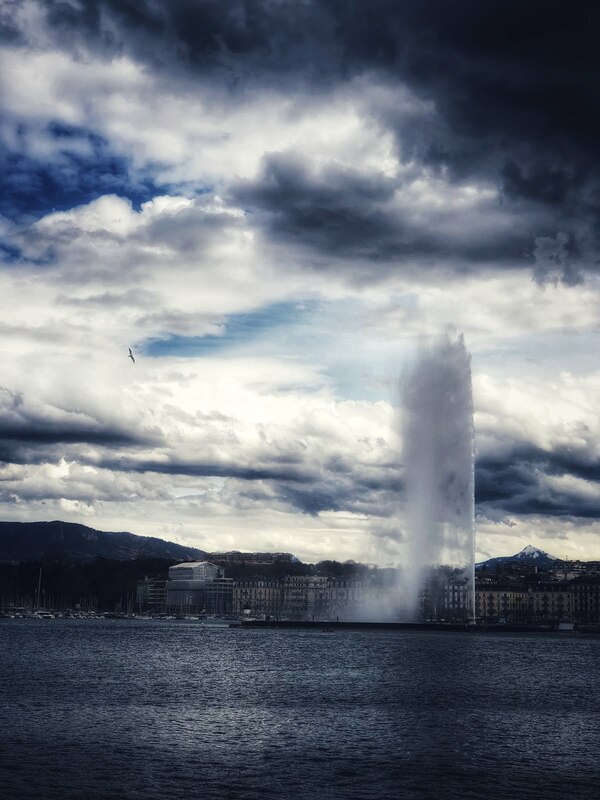 Geneva clearly has no such water struggles, with a lot of the water coming from the lake itself, which is fed by rivers and the melting snowpack from the surrounding mountains. There was a spectacular view on the way in, and you can see a Flickr album of my photos from the trip here.